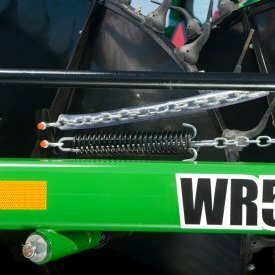 Overhead frame can be locked with chains to secure it for transport and storage. 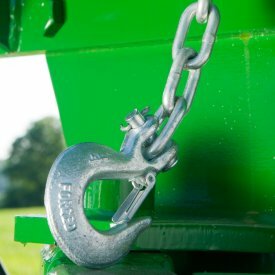 Rake beams can be locked for easy transport and storage. 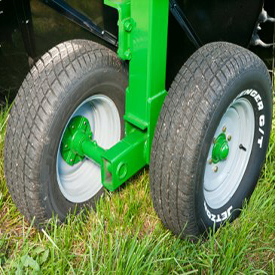 Rake wheels can be locked for safe transport and storage. 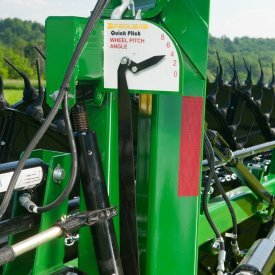 Rubber-mounted teeth allow rake beams to be tilted to match crop conditions for better raking performance. 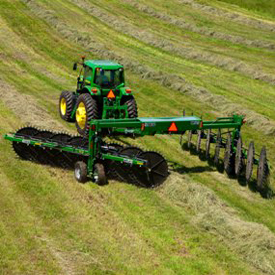 The windrow width of the WR54 Series can be adjusted hydraulically to a maximum of 182.9 cm (72 in.). 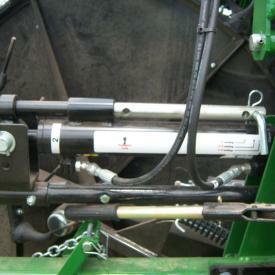 One hydraulic remote, along with the electrical control box, handles all the functions of the rake. 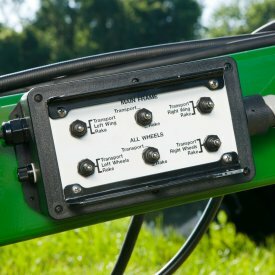 The master control system on the WR54 Series High-Capacity Wheel Rake allows the operator to control various rake-wheel functions with the flip of a switch. 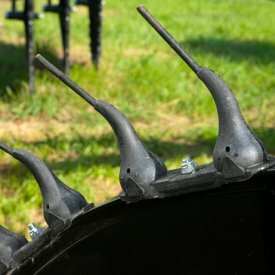 Rake beams quickly adjust to set the rake wheels from 0 to 8 degrees to allow for more or less aggressive raking. 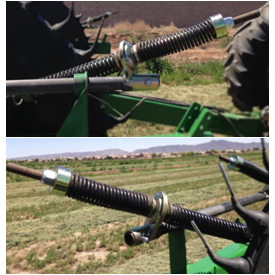 The 0 degree setting is for dry crops and up to 8 degrees is used for short, wet, or matted down crops. 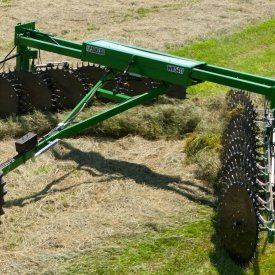 Durable wind boards keep hay from getting caught in the wheels and are standard on the WR54 Series Heavy Duty, High-Capacity Wheel Rakes. 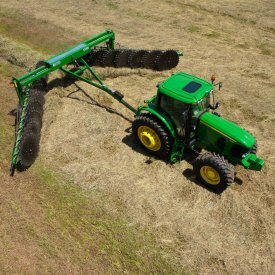 The maximum raking width is 29 ft. The rake wheel beams may be angled independently. 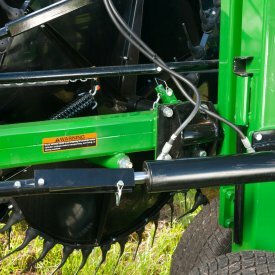 This allows you to do one sided raking if desired. 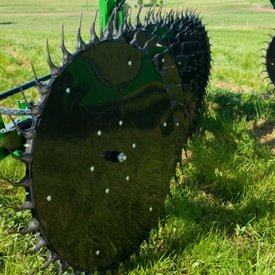 The tandem wheels on WR54 Series High-Capacity Wheel Rakes provide added stability and a smooth, level operation across rough field conditions. The 60-in. rake wheels on the WR54 High-Capacity Wheel Rake float freely, thanks to individual dampening springs which are standard equipment. If more precise adjustment for the dampening and float of rake wheels is required, the optional bi-directional spring can be ordered. The rake wheels may be lifted independently left or right, or both at the same time.